HURRY! Get in on the Action! The Age of Ultron Begins June 2015! Marvel HeroClix: Age of Ultron is a four-month Storyline Organized Play event that will excite the player community and inspire new players to join the fight against Ultron and his army of robots. Remember, quantities are limited and the program will only be offered while supplies last! Request and order your Age of Ultron OP Kits and Boosters today to ensure you’re ready for some of the most exciting OP events of the year. After you’ve placed your order with your distributor don’t forget to put your events in the WizKids Event System! 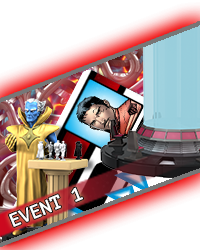 Marvel HeroClix: Age of Ultron is comprised of four Storyline Organized Play events that will energize the player community and inspire new players to join the fight against Ultron. Register in the WizKids Event System <http://www.wizkidseventsystem.com> now! 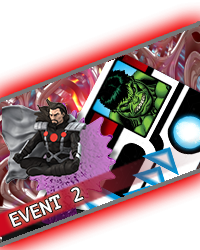 Once your store is registered in the WES, you can schedule your Marvel HeroClix: Age of Ultron events! As a participant in the program you will register your store and your events in our database using a simple browser-based interface. 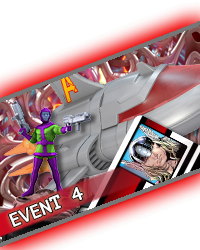 The information you provide will populate our event locator that will direct visitors of www.HeroClix.com to your store to participate in the Age of Ultron events. 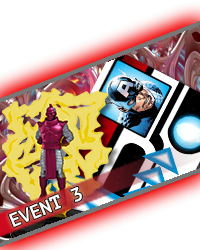 The Age of Ultron Storyline Organized Play (OP) series continues our aggressive Storyline program and features ALL NEW and UNIQUE content based upon the incredible history of Ultron and his many battles against the Avengers. Stores interested in participating should contact their HeroClix distributor today!